It’s time to keep your desk organized with the help of the Blossom Pod flower clip holder. 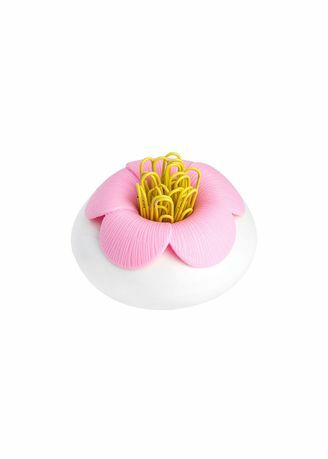 This beautifully designed paper clip and accessory holder will make your desk area more organised, and the flower attaches itself to your whiteboard or fridge. The lovely flower will dress up your desk and surely brighten up your day. Blossom Pods are sold individually.